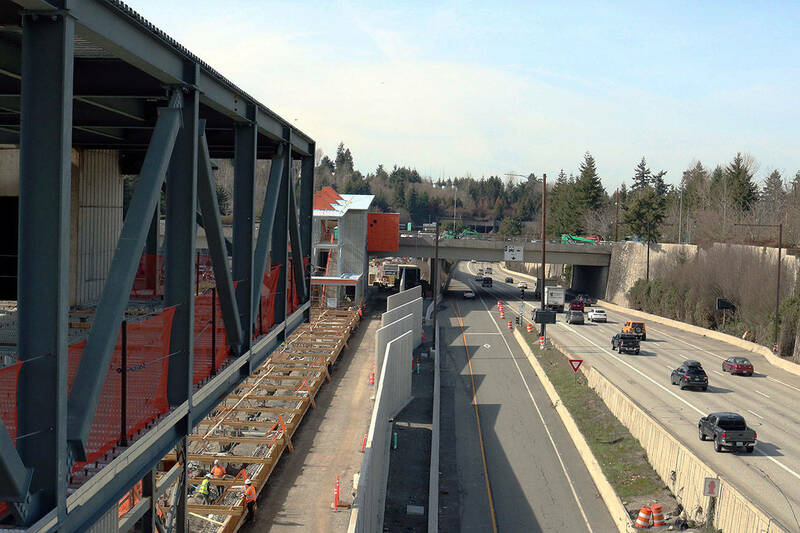 The westbound lanes between Mercer Island and Seattle will be closed during construction. After canceling last weekend’s closure of Interstate 90 between Mercer Island and Seattle, Sound Transit sent out an alert on July 26 notifying drivers of upcoming impacts, starting this weekend. Westbound I-90 lanes will close at 11 p.m. on July 28 until 7 a.m. on July 29 and from 10:30 p.m. on July 29 until 4:30 a.m. on July 30 for construction to prepare for East Link light rail. As crews post-tension the Homer Hadley floating bridge, westbound I-90 will be closed between Island Crest Way on Mercer Island and I-5 in Seattle. Crews will begin closing ramps and lanes beginning at 8.pm. and will begin reopening lanes beginning at 7 a.m. on Sunday and 4:30 a.m. on Monday. Additional weeknight closures may be necessary to complete this work and have been approved for: July 30–Aug. 2 (10:30 p.m.–4:30 a.m., nightly) and Aug. 6–Aug. 9 (10:30 p.m.–4:30 a.m., nightly). ST 550 and 554 buses with service after 11 p.m., will terminate at the Mercer Island Park and Ride before returning to eastbound I-90. Buses will not serve the westbound Rainier Flyer Stop in Seattle after 11 p.m.
See soundtransit.org/eastlink for more information.